The last ebook you will ever need. 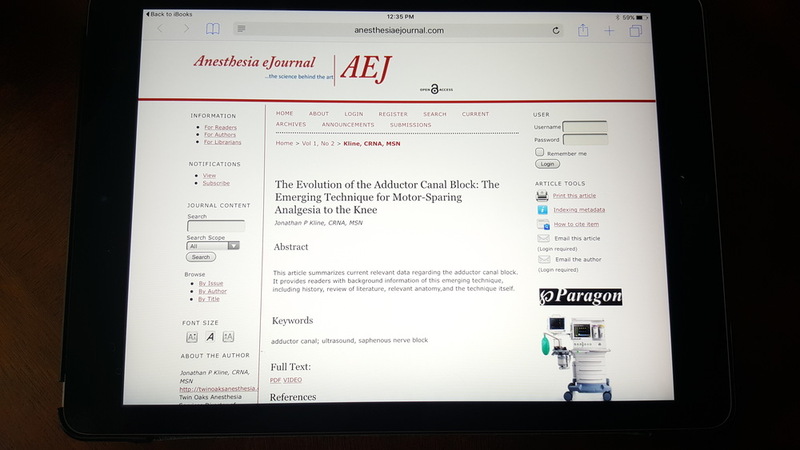 Our iBook on Peripheral Nerve Blocks and Ultrasound Guidance is a digital book covering all the latest regional anesthesia techniques related to nerve blocks and also includes topics on Advanced Ultrasound and Point of Care Ultrasound techniques (EFAST exam, TTE, and more!). 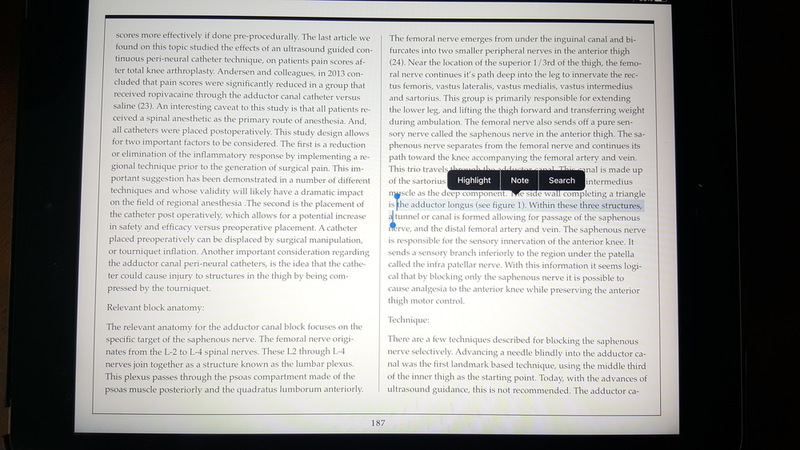 The iBook is easily downloaded to any IOS device and can be a handy reference on any mobile device allowing you to review techniques and images on the fly! 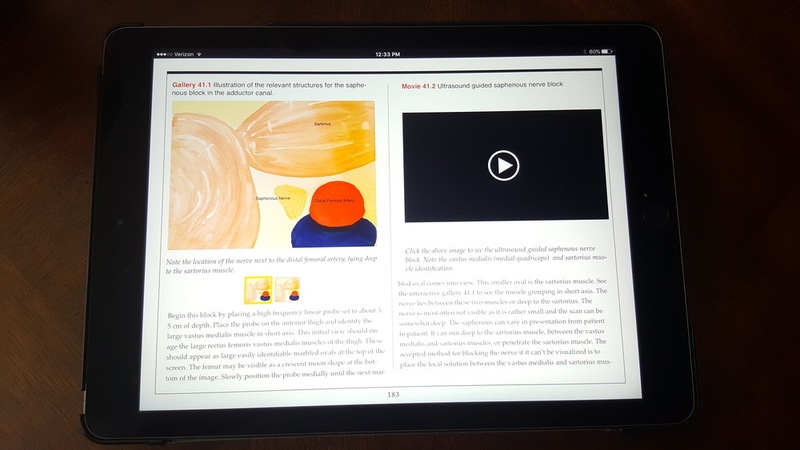 And best of all, by purchasing the iBook, you get free updates! Imbedded Interactive Images and Imbedded Videos! Easy Highlighting and Note Taking!